TIGER TRAIL TRAVEL (hereafter referred to as TT) operates from its head office in Luang Prabang, Laos. The office handles all bookings and communication with clients, passengers and agents. Online bookings are made through our head office in Luang Prabang and are only accepted by return confirmation emails only. Walk-in bookings are accepted in person at our Ban Jek office during normal business hours. Payment must be made in full before your tour is confirmed. Payment for online reservations is accepted in U.S. dollars. Payments for tours in our Luang Prabang office are accepted in cash (including Laos Kip, U.S. Dollar, Thai Baht, or Euro) or credit card with applicable bank surcharge fees. The daily exchange rate is used for calculations. Any banking transfer, credit card, and Paypal fees have to be paid/covered by the sender/client/partner/customer. The scope of contractual services for each tour and service rendered by TT is as described on the company website and in our local sales offices. TT does not guarantee information provided through any third party reseller. The TT website and staff at our Luang Prabang office provide the most up-to-date tour information which supersedes any information found through other sources. Changes in our services may occur through unforeseen circumstances including but not limited to weather conditions, political situations, road conditions, and trail or river conditions. TT makes every effort to deliver services as described, but reserves the right to make necessary changes for the safety of clients, staff, and to deliver the best possible tour. Cancellations are accepted by email any time, or in person at out Luang Prabang Sales Office during normal working hours 8:30 a.m. to 8:30 p.m. Phone cancellations are not accepted. Notification by phone must be followed by email. >48 hrs before the given tour meeting time and date - 25% fee in addition to any 3rd party charges. 24 hrs to 48 hrs before the given tour meeting time and date- 50% fee in addition to any 3rd party charges. If you cannot be on time, please contact TT immediately. Standard join-in tours depart at latest by 8:45 a.m. as courtesy to other on-time guests on the same tour. In case of missed pick-ups, please contact one of our offices immediately. Refunds apply to the cost of the tour and may exclude bank transaction fees. TT is not liable for any injury, loss or damage the traveler suffers during in connection with the journey, nor for itinerary modifications due to circumstances beyond TT’s control. TT sells and incorporates 3rd party services into some products. In these cases, TT acts as an agent and has the responsibility to conduct regular quality control of suppliers. We make no guarantee on their products and services. Our Clients have to understand that our adventure excursions by their very nature involve risks and dangers and clients shall assume all responsibility for any loss, injury, or death of themselves or personal belongings. TT provides safe luggage storage and safety box for all guests on tours. Clients shall not hold TT or its personnel responsible, whatsoever, for any injuries, damages, losses or delays neither to persons or property nor for extra costs arising from unforeseen complications for any reasons during the adventure trip. Clients are responsible for their own travel insurance covering personal property and bodily injury. TT and Clients reserve the right to inspect all equipment at the outset of the excursion to ensure proper working order. Having done so, On commencement of the tour, the client agrees to pay for all damages to the equipment instigated by negligence. If passport, visa, customs, health or currency provisions of individual countries are not met by the passenger, thus preventing him to participate in the journey, TT may charge the corresponding cancellation fees to the customer (organizer). Join-in tours meet at 8:20 a.m. at a designated meeting point. TT makes every attempt to locate missing guests. As a courtesy to others in the group, TT waits until 8:45 a.m. at latest before finally starting the tour. Guests arriving after tour departure time forfeit their tour, but are encouraged to contact TT immediately. TT makes no guarantee, but will make every to assist the guest join their group or make other possible arrangements at the cost of the client. Prices of tours may vary with season, point of sale, discounts, and promotions. If TT accepts to arrange for visas and/or similar documents, it acts on behalf of the organizer (agency). If any clause of these terms and conditions become void or unenforceable, the remaining contract remains valid. Place of jurisdiction for actions brought against TT shall be its responsible operation office. TT reserves the right to update and/or alter these Terms and Conditions at any time, and shall post the amended Terms and on the TT Website. Any such amendment shall take place with immediate effect. 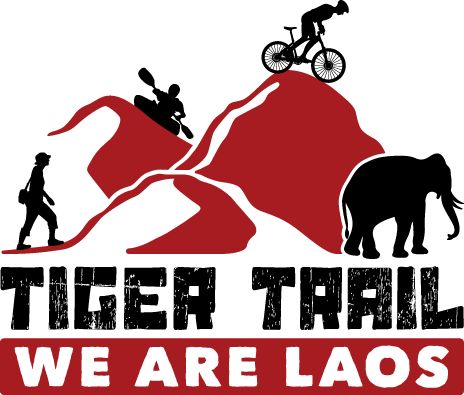 The latest Terms and Conditions may be accessed anytime on the TT website at http://www.laos-adventures.com TT recommends that all clients refer to the Terms ad Conditions prior to booking tours to familiarize themselves with the most up to date version hereof.